Decorate your home with beautiful "One of a kind" handmade carpet which is 100% hand knotted in pure New Zealand wool and cotton material. The warp is in cotton and the weft is in pure NewZealand wool. It has a beautiful defined pattern which is really hard to weave. 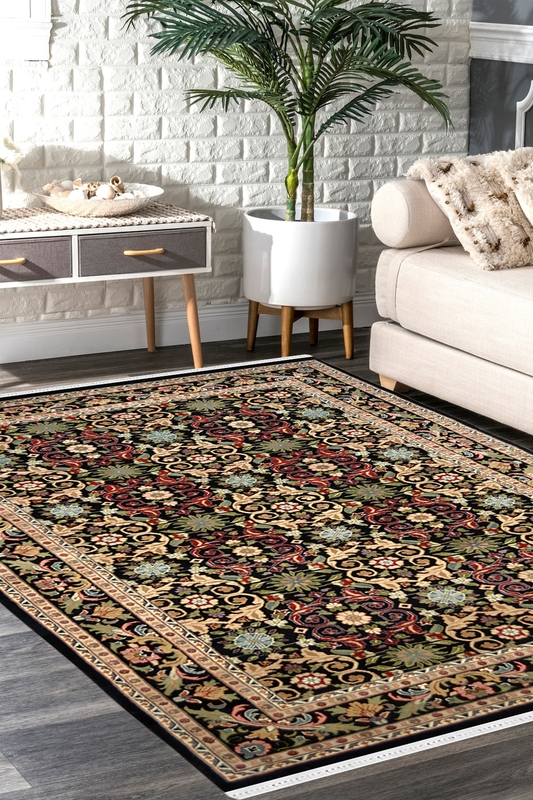 The ground of this carpet is the main eye-catching point which includes a gorgeous floral design. The ground in full filled with bold floral motifs and it looks like the garden of flowers. The additional feature is to contain Multi-color which you can use with any furniture. So place this “One of a kind” Handknotted carpet in your home and give a statement to your floor.